Looking For Traditional Garage Doors? We specialize in the sales and installation of traditional garage doors to increase the beauty and safety of your home. Traditional garage doors don’t have to be boring or look like your neighbor’s builder-grade door. Thanks to modern manufacturing processes and a wealth of garage door styling, designs, and hardware options are available. Your traditional garage door design can look unique and increase not only your home’s curb appeal, but also increase safety for your family and valuables. Need help deciding on a garage door? Call 281-252-3346. 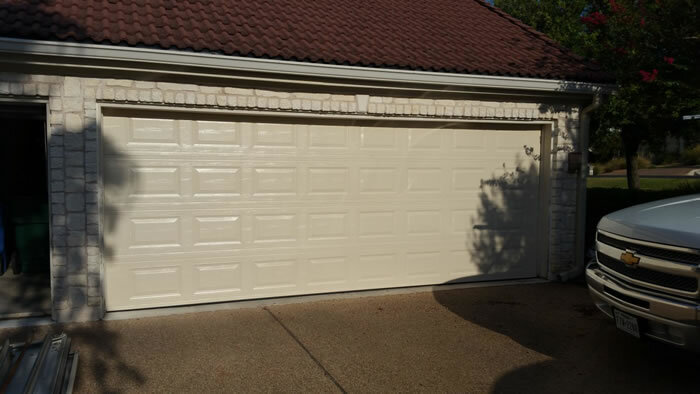 When you choose Aladdin Garage Doors Houston, you get great pricing because the Aladdin-backed family owned businesses get the discounted high quantity purchasing power like corporate garage door companies. Plus, you get the comfort of working with a small, local, family-run business. 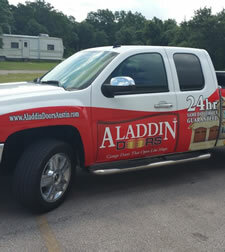 Aladdin is large enough to serve all of your garage door needs including repairs 24/7/365. And our garage door technicians are well-trained, experienced, and background-checked. But we’re small enough to treat you as if you are our only customer and make sure you are 110% satisfied with our customer service. Call 281-252-3346> or fill out our contact form to receive a free estimate to install traditional garage doors in your home.